The EA Originals program is bringing a selection of indie games to market with the weight of the EA marketing machine behind them. 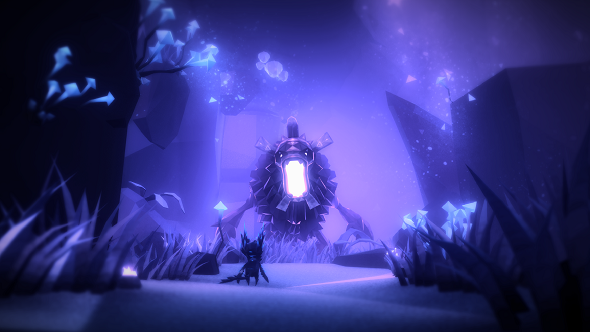 The first of these is Fe, a magical open-world platformer that casts you as an adorable fox. We won’t be waiting much longer to see Fe, as it’s set to release on February 16. The announcement was made as part of the Nintendo Direct earlier today – the same one that revealed Dark Souls Remastered – but the February release applies across all platforms, including PC. You can see some new footage of the game from the Direct above. Fe takes cues from all sorts of games, and you can see elements from Zelda to Shadow of the Colossus as part of its open-world platforming. The latest gameplay video showed the titular fox singing to make friends with woodland creatures small and massive, and it’s all just so nice and adorable it can’t help but be charming. We’ll learn how it ultimately turns out on February 16. The other big EA Originals game is A Way Out, and that one’s due to release in March.